Management and updates for your website, we can take care of that too. Website management. Someone has to do it, but it doesn't have to be you! If you're struggling to keep up with the code you require to get what you want out of your site, we can help you with that too! Perhaps another company already takes care of your site updates, but they've been slacking or you think they're charging a bit too much for their services. Whether it's basic text updates, image updates, or perhaps a new seasonal look for your site. 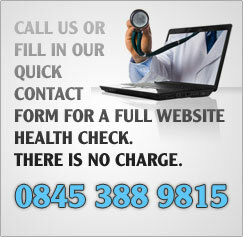 If you want to keep your site the way it is and make some minor changes tell us and we can help out. We can offer packages from one off hourly rate changes, to bundles of hourly site updates you can have us perform over the year. If it's website management you're looking for, fill in a no obligation quote request and let us know roughly what you're after. We'll get back to you soon with a quote.